The actions of the Turkish and rebel delegations demonstrate that their goal is to disrupt the Astana negotiations, Bashar Jaafari, the head of the Syria’s government delegation told journalists at the end of Thursday's talks. The rebels and their Turkish backers demonstrate a “clear will to disrupt the Astana meetings,” Jaafari said, as cited by Reuters. He went on to blame Turkey and the rebels for preventing the adoption of the final communiqué of the Astana meeting. “The failure to adopt the final communiqué of today’s meeting results primarily from the late arrival of the Turkish delegation and the delegation of the armed opposition,” he said. He pointed to the fact that both delegations arrived in Astana only on Thursday, the last day of the talks, and is a clear demonstration of their “irresponsible attitude” towards the summit, RIA news agency reports. Jaafari then drew attention to the fact that Turkey was represented at the Astana talks by a low-level delegation, emphasizing that such an approach contradicts its status as a guarantor of the ceasefire in Syria. He also described the actions of Turkey in Astana as “questionable.” The head of the Syrian government delegation also demanded that Turkey withdraws its troops from Syrian territory and respect Syria’s sovereignty. “Turkey cannot simultaneously start fires and then act like a firefighter. In this case, it builds up a fire. Turkey should withdraw its troops from the territory of our country and abide by the first Astana communiqué that confirms [territorial] integrity and sovereignty of the Syrian Arab Republic,” he said as cited by RIA. He also urged Turkey to take “decisive actions” to close its border with Syria to stop the “inflow of terrorists” to the Arab republic. Jaafari once again reaffirmed Damascus' commitment to the ceasefire. “Syria’s [government] pledges to take all necessary actions to uphold the ceasefire regime and stop the bloodshed in Syria,” he said. Separately, a Syrian opposition representative told journalists that parties to the Astana negotiations failed to adopt any document after the plenary meeting on Thursday and that the opposition would provide further comments later. The armed rebels also continued to object to Iran's military participation in Syria which they say was hampering progress in their talks with the Syrian government, delegation head, and the leader of Jaysh al-Islam, Mohammed Alloush said, as reported by Reuters. The plenary meeting started at 16:00 local time (10:00 GMT) and was attended by delegations from the Syrian government and the opposition, as well as Russia, Turkey, Iran and the UN. 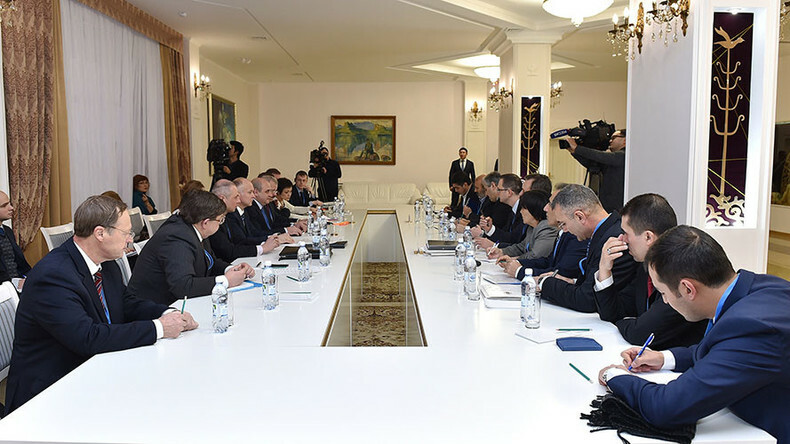 American and Jordanian representatives were also in Astana, but only as observers. The first round of the Astana negotiations convened in late January after a nationwide ceasefire came into effect in Syria in December 2016. All sides confirmed their commitment to the ceasefire and discussed the possible establishment of a truce monitoring mechanism by the three ceasefire guarantors – Russia, Turkey, and Iran. 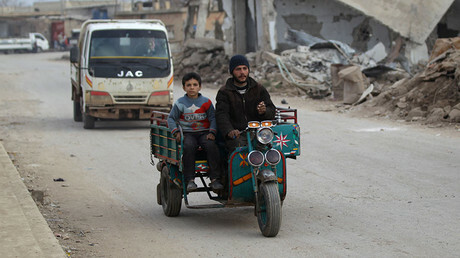 Russia submitted a draft document to serve as a “guide” for a new Syrian constitution. The paper stressed that Syria’s territory is “inviolable and indivisible.” It suggested that any restructuring of internal borders and autonomous regions within Syria should only be done with respect to the country’s own laws. The rights of minorities were another key element of the draft. 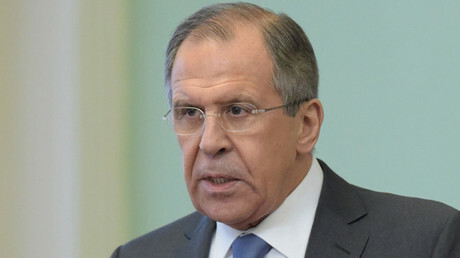 “We can really speak about a success, about an important event … as the talks continued for two days and involved extensive bilateral and trilateral consultations…” Sergey Vershinin, Director of the Middle East and North Africa Department at the Russian Foreign Ministry, said during a teleconference after the talks. “We believe that another important step [on the way towards the reconciliation] was made as we once again managed to gather the representatives of the Syrian government and the armed opposition… in one room,” he added. His words were partly echoed by the head of the Russian delegation in Astana, Aleksandr Lavrentiev, who said his assessment of the talks was positive. “I cannot say that it is a breakthrough, but it is a step forward,” he told journalists after the negotiations. Vershinin also announced that Russia, Turkey, and Iran had reached an agreement concerning the establishment of the joint task force that would monitor the ceasefire and contribute to the process of building trust between the Syrian government and the opposition. “Specific result of the Astana talks consists in the adoption of a statement concerning a joint group, including representatives from Russia, Turkey, and Iran, which would work on a regular basis in order to maintain and strengthen the ceasefire regime,” he said. 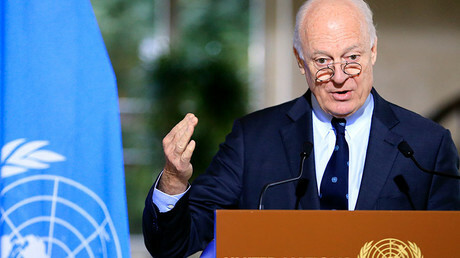 He added that the monitoring group would fulfill technical tasks and prevent ceasefire violations by all sides as well as “work on the measure aimed at building and strengthening trust” between the Syrian government and the opposition while contributing to the political process in Syria. Lavrentiev said the joint Russian, Turkish and Iranian task force may look into political settlement issues for the Syria conflict.